Homecoming dances are a tradition found across the nation. Students dress up and head out for a late night of dancing and memory-making. 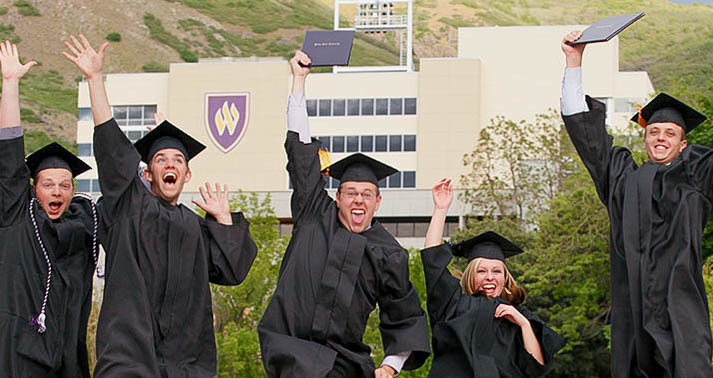 At Weber State University, students can become “true Wildcats” by kissing under the clock tower at midnight. But for students with children, not only is finding babysitters sometimes difficult, but some nontraditional students might not feel comfortable sharing the dance floor with younger students. The family homecoming dance will be held in the ballrooms of the Shepherd Union Building from 5-8 p.m. on Friday, Sept. 21. The event is free, and light refreshments will be provided. The first family homecoming dance was held last year. Debbie Cragun, the coordinator for the Nontraditional Student Center, said some attendees and their children dressed up, while others came in jeans and T-shirts. The family dance is designed to be casual, but participants are welcome to dress up if they would like to. There is no upper or lower age limit for attendees at the family homecoming dance. Marisol Velasco, a peer adviser in the Nontraditional Student Center, attended the dance with her three children last year. This year they are 9, 10 and 15 years old. Velasco said her favorite part of the family dance is the time she gets to spend with her children. This year, the Joe Muscolino Band is performing for the event. Cragun said the band members were originally set to play at the Foam Bash, but since they canceled due to rain, they will now be playing at the family dance. According to the band’s website, www.joemuscolinoband.com, the ensemble can “masterfully perform the classics of Frank Sinatra, to the sweet soul sounds of The Temptations, along with the current sounds of Academy Award winner Adele.” Their song list spans hits from the last five decades. Cragun said she expects songs where just the children will be out on the floor, others where mostly adults will be dancing, and some in between. Velasco said her children were comfortable to dance with different groups at last year’s event. “They were dancing with other kids, they were dancing by themselves, they were dancing with us,” she said. Garrett said he could not attend the dance last year because he was in Iraq, but that he is excited to attend this year. “I’m looking forward to being able to dance with my wife; it’s not something we get to do very often,” Garrett said. After the family event, the traditional homecoming dance will take place in the same location from 8 p.m. to midnight. The traditional homecoming dance costs $8 for singles and $12 for couples. The dress code is formal. More information is available at http://www.weber.edu/homecoming.